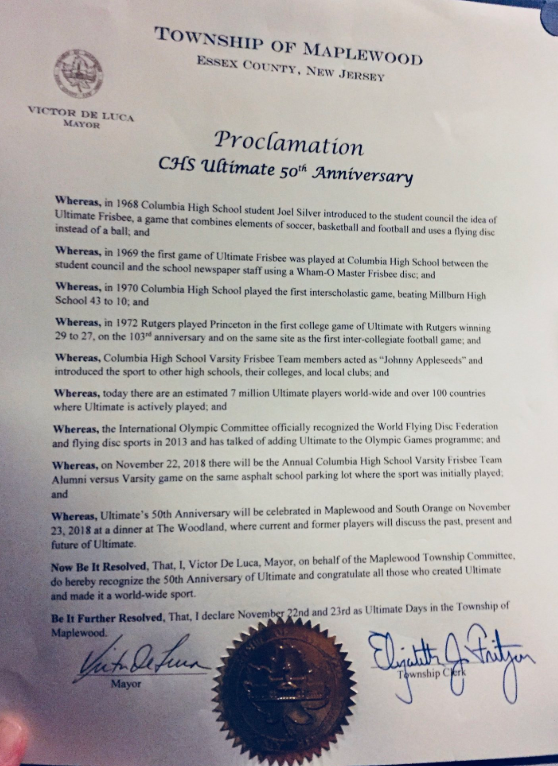 The township of Maplewood, New Jersey, honors the 50th anniversary of Ultimate Frisbee with a proclamation declaring November 22 and 23 as "Ultimate Days." Whereas, in 1968 Columbia High School student Joel Silver introduced to the student council the idea of (Ultimate) Frisbee. Mayor Victor De Luca declares November 22nd and 23rd as Ultimate Days in the Township of Maplewood.